After having graduated as an agricultural engineer at AgroParisTech in 2004 (Master’s level), Sylvain Sturel coordinated teams of agricultural and rural advisers in Central Africa and South-East Asia for seven years. 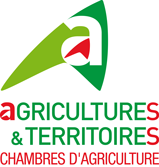 Since 2003, he has been in charge of European projects and international cooperation for the French Chambers of Agriculture. These projects deal with the capacity building of farmers and advisers on various topics like farm business management, innovation on farms, developing products with high added-value, reducing the use of pesticides etc. Disseminating the outcomes of the LANDMARK project by using our regional, national and European networks, especially chambers’ of agriculture, agricultural extension services or farmers’ organizations in other European countries.